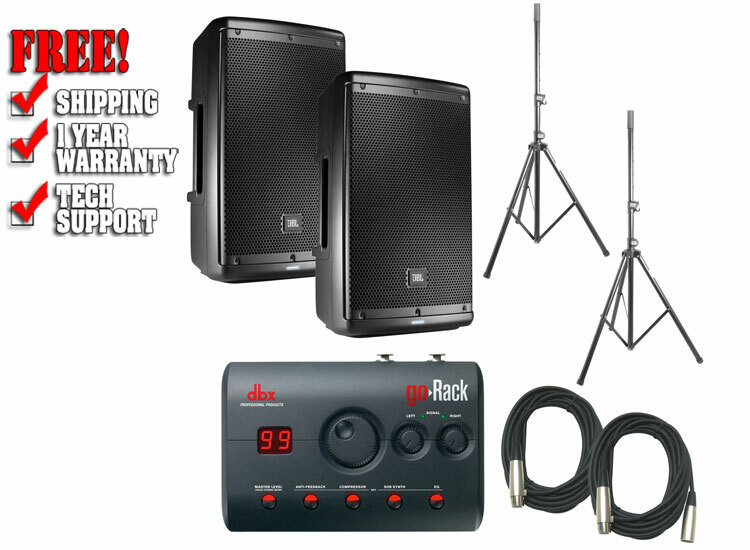 Chicago DJ Equipment Online Superstore - JBL DJ SPEAKER PACKAGES AT THE LOWEST PRICES! Historically, the convenience of portability in a PA System has meant a compromise in sound quality and fidelity. To answer that call, dbx Professional Products are proud to introduce the all-new goRack Performance Processor. The goRack is an easy-to-use portable speaker processor. Based on our industry-leading DriveRack Series, the goRack sits next to a set of powered speakers and provides powerful signal processing including Anti-Feedback (based on our AFS Advanced Feedback Suppression algorithm), Compression, Sub-Harmonic Synth and EQ. Each processing function can easily be enabled or disabled via top-level function buttons, and settings can be adjusted via goRack's large data wheel. goRack's rear panel features combination 1/4"/XLR inputs that can be connected to either mixer outputs or microphones. When using a mic, the goRack's Mic/Line switch selects the proper input sensitivity and gain range while dual gain controls on the top provide independent level adjustment. 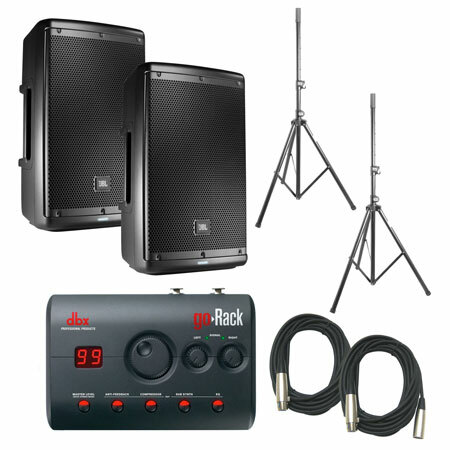 goRack's 1/8" Aux input allows for direct connection of mobile music players while XLR outputs interface with powered speakers. The goRack represents the best of dbx's DriveRack processing in its purest, most simplified form all housed in a sleek, compact form factor that fits in your hand, or back pocket. The goRack is perfect for applications from a mixer, or with its dual XLR inputs and Aux input, it can be used as a standalone performance processor/mixer for the solo artist. Historically, the convenience of portability in a PA System has meant a compromise in sound quality and fidelity. To answer that call, dbx Professional Products are proud to introduce the all-new goRack Performance Processor. The goRack is an easy-to-use portable speaker processor. Based on the industry-leading DriveRack Series, the goRack sits next to a set of powered speakers and provides powerful signal processing including Anti-Feedback (based on our AFS Advanced Feedback Suppression algorithm), Compression, Sub-Harmonic Synth and EQ. Each processing function can easily be enabled or disabled via top-level function buttons, and settings can be adjusted via goRack's large data wheel.